Launched on World Oceans Day in 2016, the Sea Youth Rise Up Campaign is a collaborative effort to empower and mobilize young people to stand up for the oceans. As a seemingly untapped reservoir of ideas, voices, and passion, the youth of the world are essential to protecting the environment. The campaign selects the best and brightest youth leaders from around the globe and gives them the resources through which to impassion their peers. 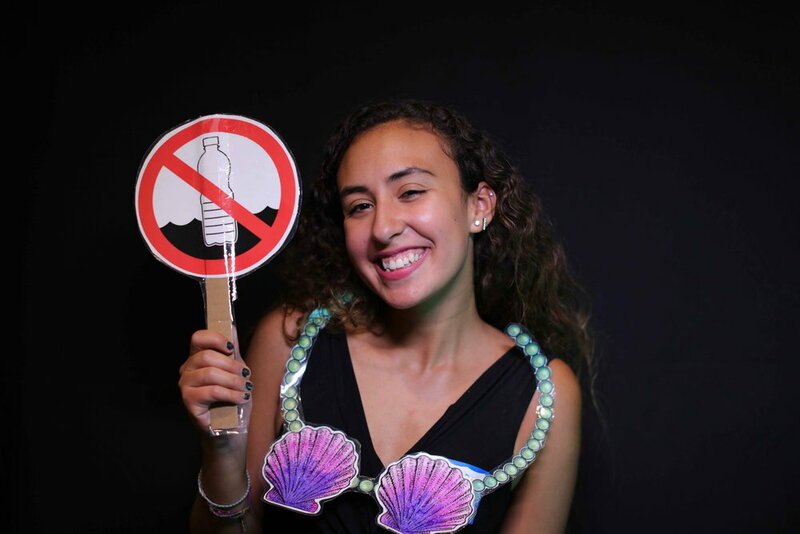 Sea Youth Rise Up creates catalysts for change and provides a platform for youth to express their ideas and magnify their environmental advocacy efforts. With nearly half of the world’s population under the age of 25, it is imperative that young people step up as leaders at an early age -- engaged in a solutions oriented approach to ocean conservation. Sea Youth Rise Up is a collaborative effort facilitated by The Ocean Project and the World Oceans Day network in partnership with Big Blue & You and the Youth Ocean Conservation Summit. Watch the MINI DOC featuring the 2018 SYRUp delegation on World Oceans Day! SEA YOUTH RISE UP is not a single organization. It's an INITIATIVE that provides a STRONG PLATFORM for today's BRIGHTEST YOUNG MINDS who LOVE the OCEAN. Spread NEW IDEAS that can WORK for the FUTURE of our BLUE PLANET. We are 100% COLLABORATIVE and focused on TEAMWORK. OPEN to building EXCITING STRATEGIES with like-minded individuals and organizations that fully engage the POWER of YOUTH. 7 youth ocean conservation leaders representing 6 states advocating for 1 mission - Sea Youth Rise Up 2018. The 2018 campaign kicked off on June 8, World Oceans Day, in Washington, D.C. with an inspiring meeting with the U.S. Senate Ocean Caucus on Capitol Hill. Then, the Sea Youth Rise Up delegates shared their missions for change through a live broadcast that reached an international audience of over 6,000 people. The delegation finished the day with a Social for the Sea, cosponsored by United Nations Environment and hosted by the Smithsonian National Museum of Natural History. On June 9, the delegates had a VIP tour of the Ocean Plastics Lab on the National Mall and took part in the inaugural March for the Ocean. The delegates joined thousands of ocean advocates in the sweltering heat and marched around the White House to advocate for ocean conservation. The march was immediately followed by a rally where the 7 delegates introduced themselves and declared their call to action. In addition to the large crowd present, more than 50,000 people have viewed the rally through Facebook Live! The 2017 program kicked off the campaign with a Social for the Sea -- an inspiring evening of networking bringing together ocean conservation leaders of all ages at the Central Park Zoo hosted by the Wildlife Conservation Society on June 3. The 2017 Sea Youth Rise Up delegation then attended the World Oceans Festival on June 4. There, they led an Ocean Advocacy March, highlighted solutions to critical ocean conservation issues through a Youth Rally for the Ocean which was broadcast live via Facebook, and met with global ocean leaders including heads of state and Dr. Sylvia Earle. The Sea Youth Rise Up initiative received the World Ocean Festival's Turn the Tides Award, presented by the President of the United Nations General Assembly during the Festival, recognizing our work to elevate the role of youth leadership in the field of ocean conservation! In less than a week, Sea Youth Rise Up campaign reached a social media audience of 208,667 accounts (not including retweets and shares that followed) specifically highlighting the importance of youth leadership in ocean conservation and our live broadcast. You can check out those results on Thunderclap. Our LIVE Google Hangout attracted an online audience from twelve different countries including Greece, Pakistan, the Bahamas, Romania, Canada, Germany, Curacao, India, Somalia, United Kingdom, Montserrat and the United States. Some notable mentions on social media came from EarthEcho International co-founder and president, Philippe Cousteau;author Richard Louv; JetBlue Airways; Mission Blue; Mutual of Omaha’s Wild Kingdom Host, Stephanie Arne; SeaWorld & Busch Gardens Animal Ambassador Julie Scardina; Society of Environmental Journalists President, Jeff Burnside; Youth Service America, as well as the Texas State Aquarium, New York Aquarium, Seattle Aquarium, Vancouver Aquarium, National Aquarium and other informal science centers across the country. YOUTH ARE NOT TOMORROW'S LEADERS. YOUNG PEOPLE ARE THE LEADERS OF TODAY.